The award-winning Bunbury Banter Theatre Company creates imaginative, immersive and engaging theatre of all kinds, specialising in high quality theatrical projects driven by a strong use of audio, Our artistic projects often involve working with new writing but we also experiment with other forms of theatrical performance and storytelling, outside the realms of the traditional theatre space. Bunbanter’s creative work has been enjoyed all over the world from Nova Scotia to Newquay, California to Cambridge, Greater London to the dark skies of the Galloway forest. Our radio plays air worldwide and have received much industry acclaim including winning the Best Short Drama in the British Public Radio Awards 2013 and previous nominations for both a Channel4 Talent Award 2010 and in the Radio Academy Awards 2012. Some of our past work includes Freedoms’ Cut, a verbatim theatre piece for the National Theatre of Scotland Five Minute Festival; Mortar, a web-based audio experience which peaks behind the curtains of a shared townhouse in modern day Britain and shines a light on each inhabitant’s existence, starring Timothy West, Prunella Scales and Nichola McAuliffe; The Dark Outside, a site-specific transmission of select pieces of their past audio work in the UK’s first dark sky forest; Stiff, a black comedy set in a morgue; Settled, a dark Pinteresque play questioning the concept of relationships and challenging the idea of love. Bunbury Banter’s main aim is to continually produce high quality work with a focus on making professional theatre and the arts more accessible to all regardless of personal, physical, social or financial hardship. The company is committed to continuing our work in this area and as part of this, we provide open-access creative learning programmes, alongside our theatre productions and projects. In addition, we also deliver specialist workshops, private drama lessons and ongoing classes for schools and organisations across the UK. Again, in line with our ethos and whenever possible, these classes are offered regardless of a participant’s financial constraints. The Bunbury Banter Theatre Company became a Community Interest Company in 2013 meaning that any profits and assets we amass, are used for the public good, focusing on bringing the benefits of professional theatre, in all its forms, to local communities. Originally formed in London, Bunbanter moved to its new home of Dumfries and Galloway in 2014, from where it continues to work across the UK. Ali Anderson-Dyer trained originally as an actress with Bodyworks Dance Company and at Drama Studio London. 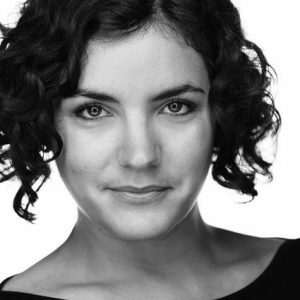 After several years in the industry, Ali then re-trained as a theatre director, at St Mary’s University, completing her studies with an MA (Merit) and gaining industry recognition with her production of Philip Ridley’s The Fastest Clock in the Universe. As a freelance director, Ali has works with new writing, classics and adaptions, site specific, physical and audio theatre alike. 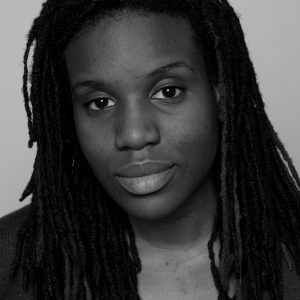 She also has experience in creating scripts from verbatim material, working within the community, professional script development, choreography, devised and game theatre, as well as technologically-led and cross-media projects. Click for More Info! Directing credits include; Moon On A Stick & Fancy Meeting You Here by Lisa Fulthorpe (Bunbury Banter), Rain Stops Play by Lee Ravitz (Bunbury Banter, starring Timothy West and Prunella Scales), Handmaidens of Death by Herbert Tremain (University of Hertfordshire), Memories of Loss by Hannah Walton Williams (Riverside Studios), The Fastest Clock in the Universe by Philip Ridley (Battersea Arts Centre), Stiff by Matthew Davies (Rosemary Branch Theatre), Settled by Samantha Mitschke (Rosemary Branch Theatre) and Gaelic Storytelling; The Bravery of Love (St Mary’s University College). Philip first became interested in theatre when working at the Arts Theatre, Cambridge, back in the 90s. Since then, he has gained experience in all facets of the business from production to front of house, stage door, backstage, facilitating, administration and marketing. Philip’s theatrical credits include over seventy radio plays and productions at venues including Riverside Studios, Battersea Arts Centre and the Finborough Theatre. For his work with Bunbanter earned Phil a place as one of five finalists for a Channel 4 Talent Award in 2008 and a nomination for Best Producer in the Radio Academy Awards 2012. To actively encourage theatrical diversity and accessibility to all, especially targeting those not usually interested or those who are currently unaware of it, due to social, physical, personal or financial hardship. To collaborative creatively, focusing on intelligent and relevant theatre pieces, specialising in audio and new writing, and using a variety of mediums and technologies, to appeal to all audiences. To be driven by narrative and immersive experience, inspired by our heritage, in addition to observing the art of storytelling which is being lost in today’s culture. To provide high quality theatre, radio and new media productions. To work with schools, organisations and universities, creating bonds between artists working today and those in our future, whilst providing our own unique education programmes in line with our ethos of making theatre accessible. To be an unbiased company which is multicultural in focus and has no religious affiliation. All our work is the product of solid collaboration between many different brilliant creatives. Below details of our company associates who can be regularly found working with us. 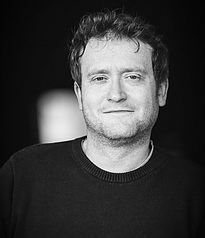 A native of Lincolnshire, Nathan began writing aged twelve and has since written for the Nottingham Playhouse, London’s Theatre 503 and Croydon’s Savvy Theatre, as well as a short film for ITV television and a skit for digital channel E4. He first became involved with Bunbury Banter in 2008, penning for them two short audio plays and returned in 2011 to co-write a radio drama pilot for the BBC. Nathan’s LinkIn Profile. Lee is an actor (trained at Drama Studio London), writer and sometime dramaturg, who also has roots in academia: as a historian, he taught at the Universities of York and Sheffield, specialising in the history of the early modern supernatural, giving lectures at venues ranging from the Institute of Historical Research to the Society for Psychical Research. 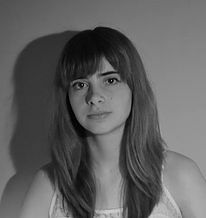 Anya is a young trainee director, who found an interest in theatre while acting in school plays and studying with BunBanter’s YTC. She has also directed a number of youth shows, including one at the International Youth Arts Festival, which was very well received. As well as working and learning with the company over the last few years, Anya also studies Theatre based subjects at University in London. Rachel co-founded Gracefool Collective, dance/theatre makers who devise “post-intellectual-pseudo-spiritual-feminist-comedy-dance.” Gracefool were the 2014/15 beneficiaries of CATAPULT – awarded to the most exceptional emerging dance maker(s) in the North. 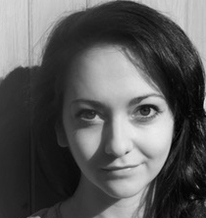 Roanna is an Actress, writer and designer based in Glasgow. After training with National Youth Theatre & East of 15 Acting School Roanna worked in London for 8 years with companies such as Old Vic New Voices, Secret Cinema, Sabotage Theatre, Rogues Gallery, Dank Parish, the Romany Theatre company and many more. 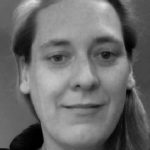 Louise works as a Production & Stage Manager, and Lighting & Sound Designer. For Bunbury Banter Theatre Company she was Sound Designer and Stage Manager for Blackout. 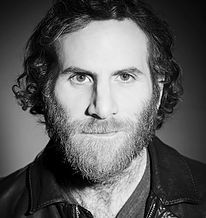 Recent credits include Production Manager for salt with Selina Thompson, The Siege of Christmas for Contact Young Company/Slung Low, and The Believers Are But Brothers with Javaad Alipoor. 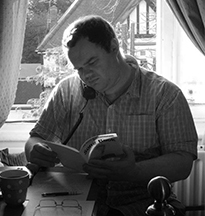 Jairus is an emerging director and producer with experience of performance, script editing and development and translation. In production Jairus has previously worked with Illicit Ink and Pegasus Opera Company. She has the following recent directing credits: Pieces of Colour (Assembly Roxy, Winning group, 24 Hour Play, Scotland), Exit, Dorothy Porter (Traverse Theater Edinburgh). Playing live electronics as a band member for Patrick Wolf, John has toured internationally supporting Amy Winehouse and Arcade Fire. 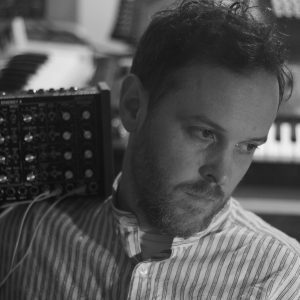 He Now works as a composer and sound designer for media & advertising having worked with Instagram, Sony, BBC & Channel 4. John has also released lots of music on independent labels such as Cookshop Music and Cosmic Pint Glass. We are always honoured to be recognised for our work. Over the years we have also been nominated and won several industry awards. In 2013 we won a British Public Radio Award in the ‘Best Shortform Drama’ category. In 2012 we ere nominated for a Radio Academy Award in the ‘Best Drama Producer’ category. We lost out to a very large and fantastic production company but were incredibly pleased with the nomination and to have been recognised in the same category as such large organisations. The awards evening was great fun and many of the Bunbanter team were in attendance. In 2008 we were nominated for a Channel4 talent Award for our audio work. Previously, we have been lucky enough to work with a number of collaborators who became associated with the company. Below are a list of some of those past associates, which does not mean that we will not work with them again, rather it is to give them the credit deserved for being an integral part of the machine that is Bunbanter.